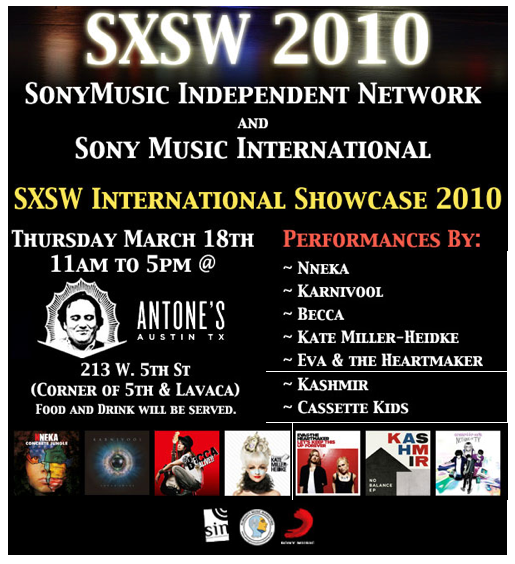 SonyMusic Independent Network and Sony Music International have teamed up to present a showcase at SXSW 2010 featuring international artists. The event will include performances by Cassette Kids, Kashmir, Eva & The Heartmaker and more. Check out the flyer below for more details.